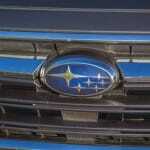 Those who live in climates where inclement weather is common really should experience a Subaru. 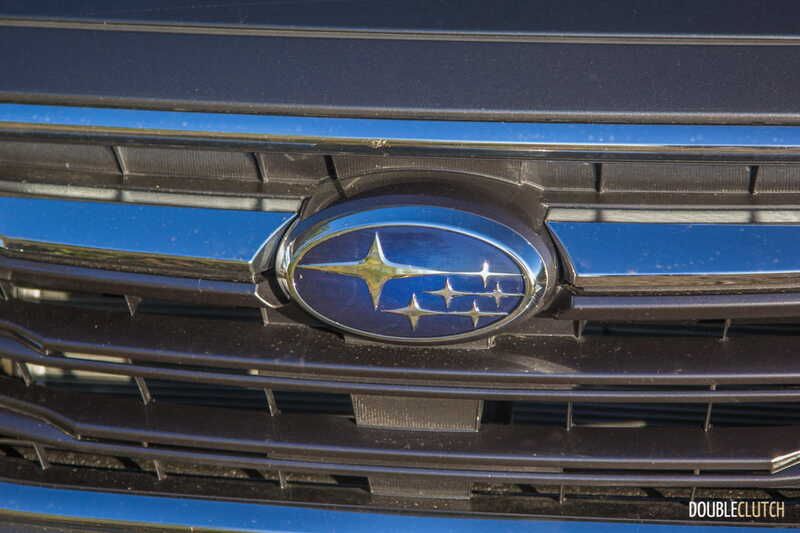 For the North American car-buying public, the crossover and SUV phase is in full swing. 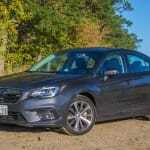 With new family haulers making their debuts on a seemingly daily basis, the vehicles considered popular for the past few decades have been all but forgotten. 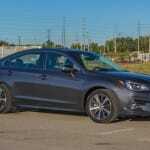 Even still, the midsize sedan is still alive and kicking, with great new entries such as the Honda Accord (reviewed here) and Toyota Camry bringing freshness to the segment. 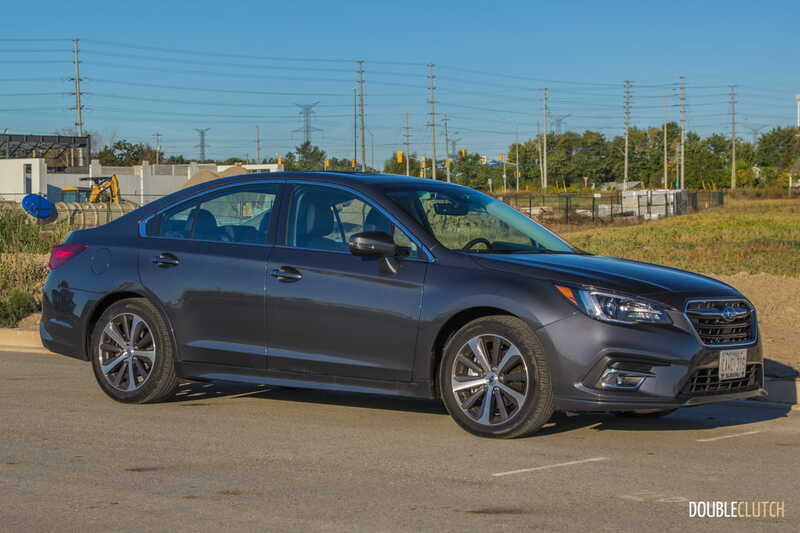 We took a look at a lower volume seller within this class, the 2018 Subaru Legacy 3.6R Limited, to evaluate what makes this Japanese entry stand out against its more striking new rivals. For the 2018 model year, the Legacy gets some minor revisions, led by a fully redesigned front bumper with LED fog lights. 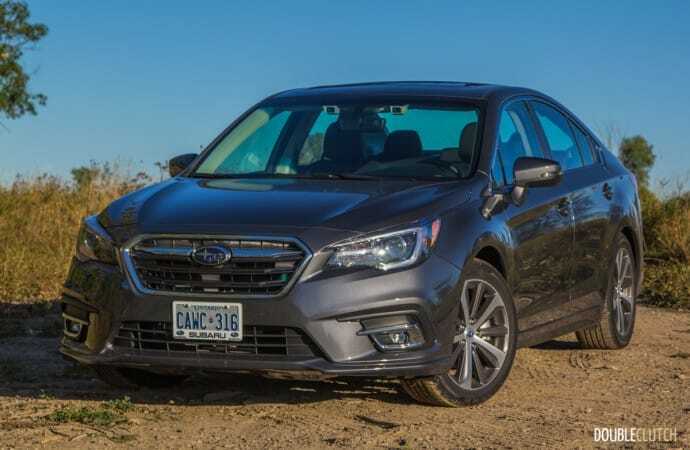 This 3.6R Limited trim sits right at the top of the line, and offers LED daytime running lights, up-sized 18” alloy wheels, and subtle cues that set it apart from the more affordable trim levels. 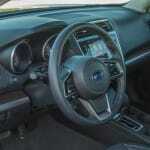 It’s a handsome car, with minimal frills and the distinct ability to fly under the radar. 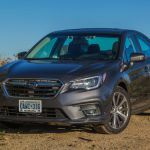 Subaru’s conservative styling hasn’t fundamentally changed since the current model debuted for the 2015 model year, and the car is still very nice to look at. 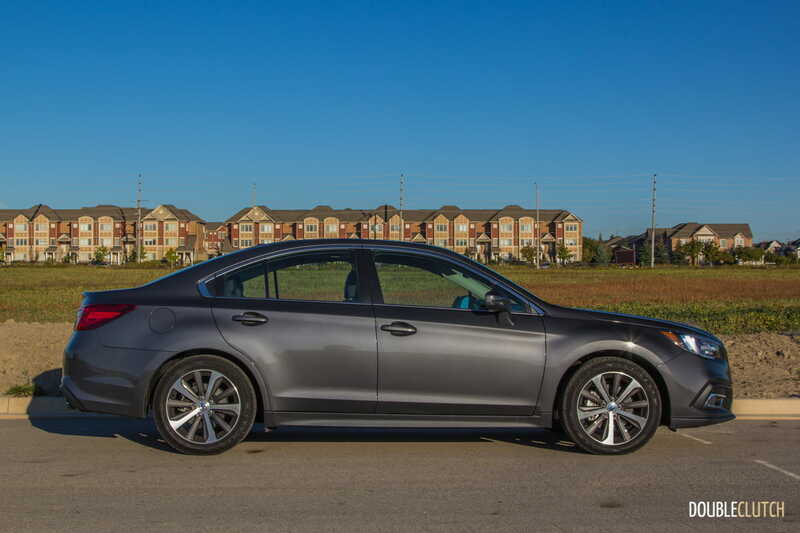 The vast majority of Legacy models sold in Canada will be sold with the entry-level 2.5L four-cylinder motor, but that’s not what sits under the hood of this example. 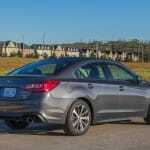 Engineered to compete with the V6 entries of Toyota Camry (reviewed here) and the new turbocharged 2.0L Accord, the 3.6R powertrain is the most appealing part of the Legacy and its sister car, the Outback. 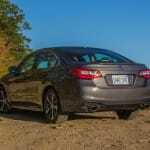 This horizontally opposed “boxer” style six-cylinder engine is creamy smooth, and must be experienced to truly understand. 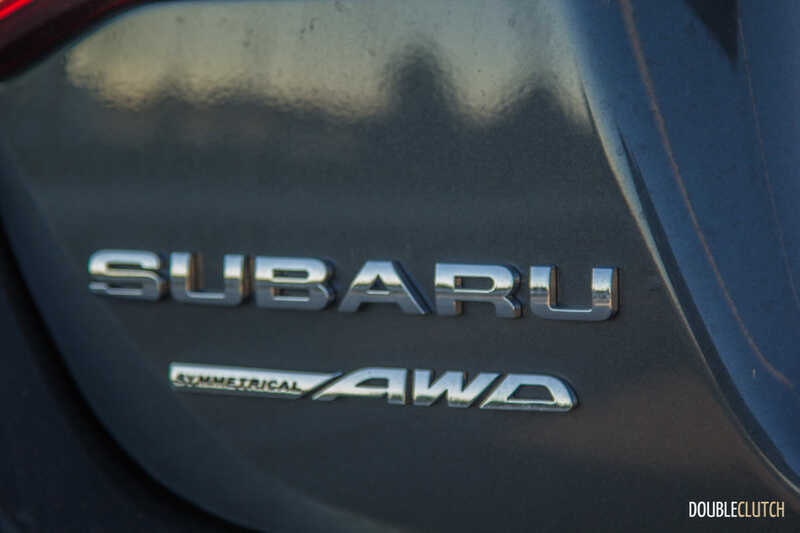 Output is a meager 256 horsepower at 6,000RPM and 247 lb-ft. of torque at 4,400RPM, so the car actually feels a lot faster than it is, but that’s not the beauty of this engine. 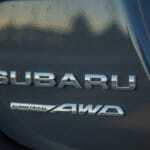 Subaru’s 3.6L is so buttery smooth in operation that it makes up for its lack of power in pure refinement. 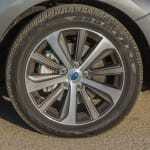 The only available transmission is a Lineartronic CVT, which has been updated for this model year and is one of the best in the segment. 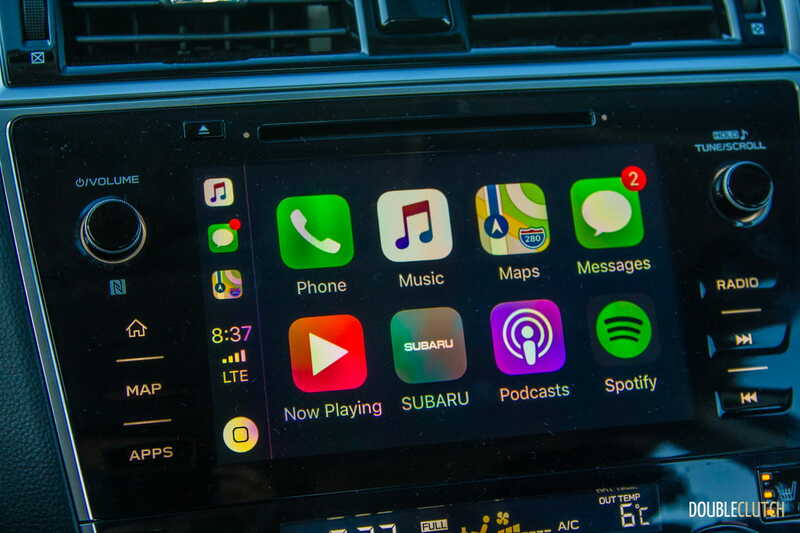 Subaru’s application is infinitely better than the one in the aging Nissan Altima. 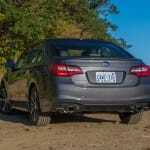 Of course, what makes the Legacy stand out even more is the standard all-wheel-drive on all trim levels. 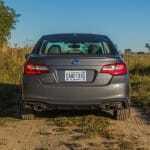 The only other rival that offers AWD is the Ford Fusion, which, in Sport trim (reviewed here), is a worthy competitor to the Legacy 3.6R. 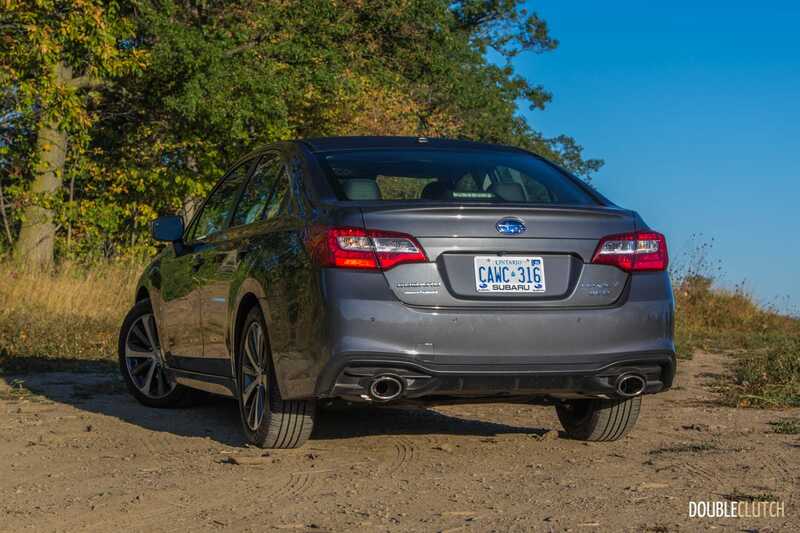 When looking at the numbers, the Legacy doesn’t seem all that appealing, but out on the open road, the engine, transmission, and finely-tuned chassis all come together to make a car that is an absolute delight to live with. The suspension is tweaked for comfort, and as a result the car rides quite well, though it’s on the firmer side thanks to the larger wheels on this trim level. 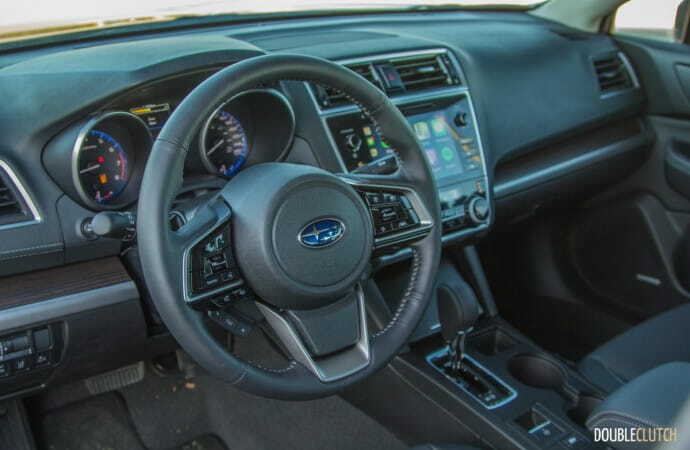 The electric power steering is light, but still maintains a good amount of feel, making it a real pleasure to push around corners. Quietness is maintained thanks to added insulation as well as dual-pane glass on the front windows. 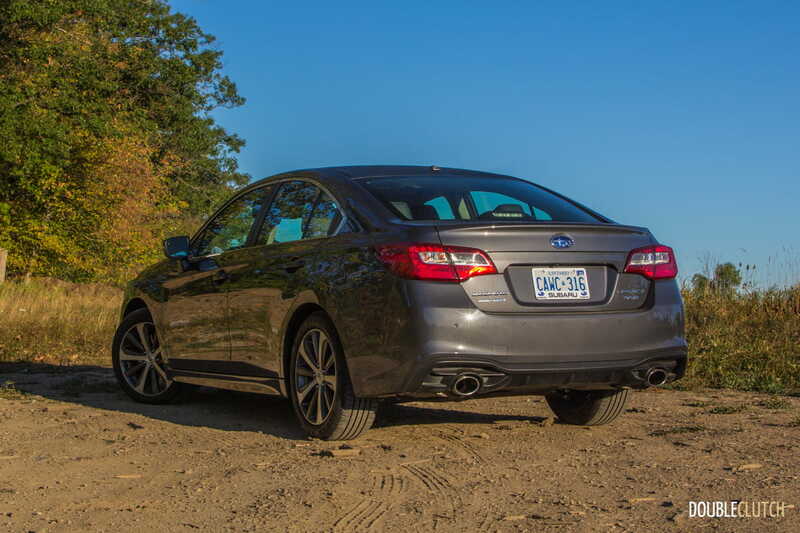 The 2.5L and CVT combination on the Legacy is surprisingly efficient, coming in at about 7.0L/100km highway. 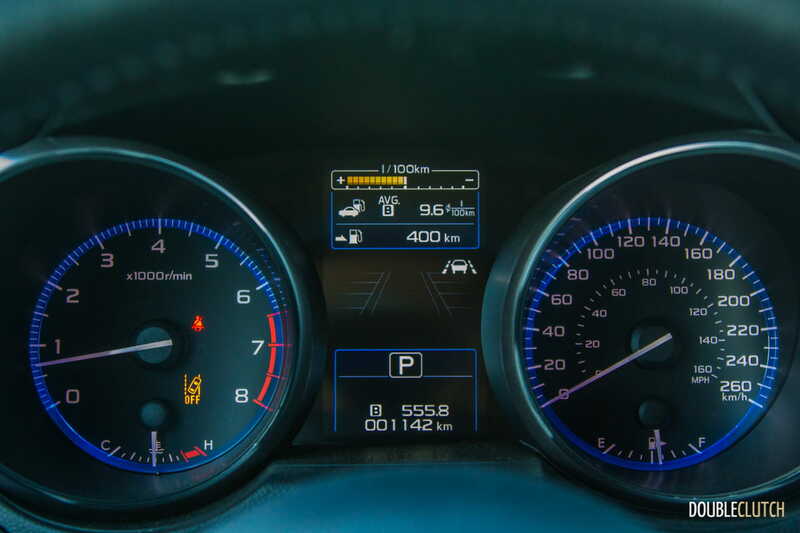 The 3.6R Limited tested here is rated at 11.9L/100km in the city and 8.3L/100km on the highway, on 87-octane fuel. 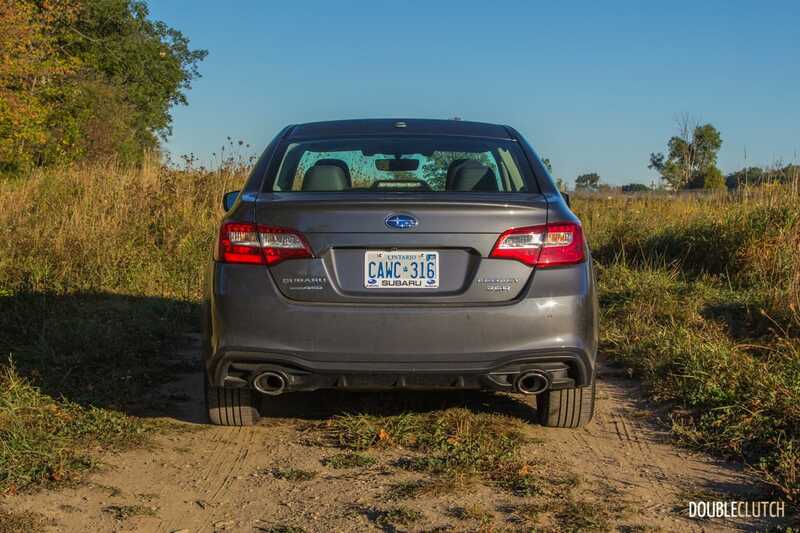 After approximately 600km of mixed driving, our test resulted in an overall average of 9.0L/100km, right in line with what the manufacturer ratings are. 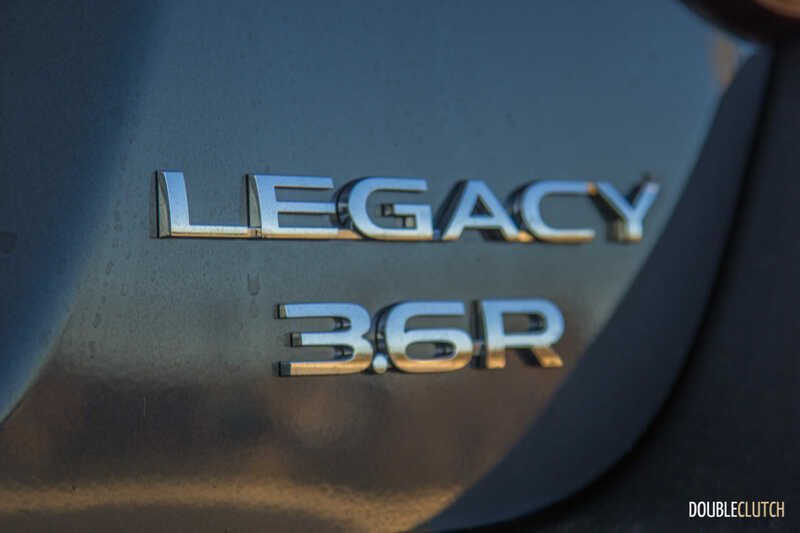 The Legacy isn’t the most frugal car in its segment thanks to its all-wheel-drive system, but relatively speaking, it comes out better in this regard than the Fusion. 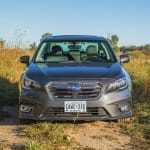 Another area in which the Legacy comes out ahead is cabin comfort and overall visibility, a general trend seen across the Subaru lineup. 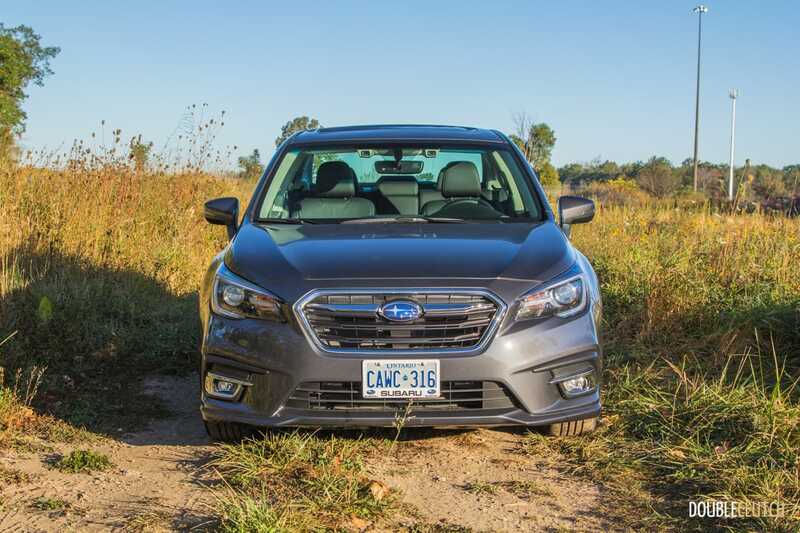 Their traditional three-box exterior design helps keep the interior roomy, with excellent sightlines all around and minimal blind spots. 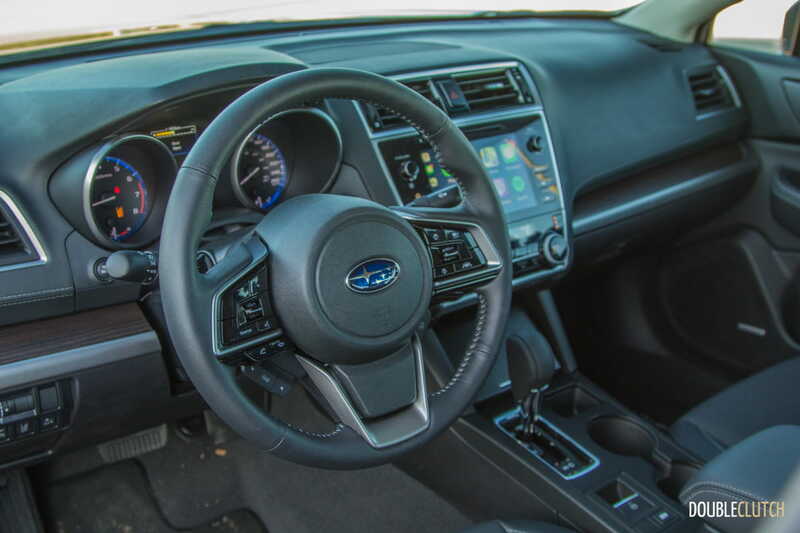 Front passengers will find plenty of head and legroom, and full-sized adults will be able to sit very comfortably in the rear. 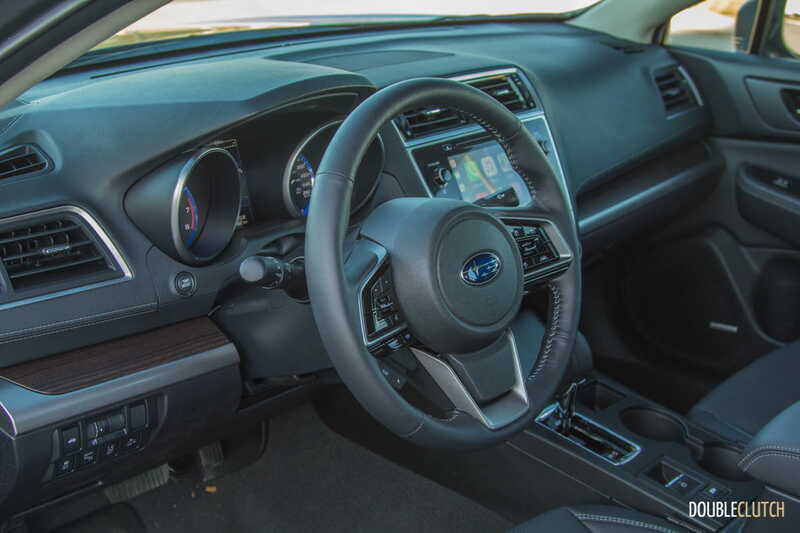 The driving position is quite good, though I wasn’t able to get the tilting/telescoping steering wheel exactly where I wanted it. 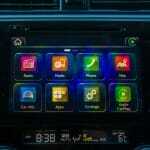 The large windows mean the cabin remains bright, and the instrument cluster is clear and easy to read. The loaded 3.6R Limited model includes EyeSight technology, which is not limited (pun intended) to this highest trim level. 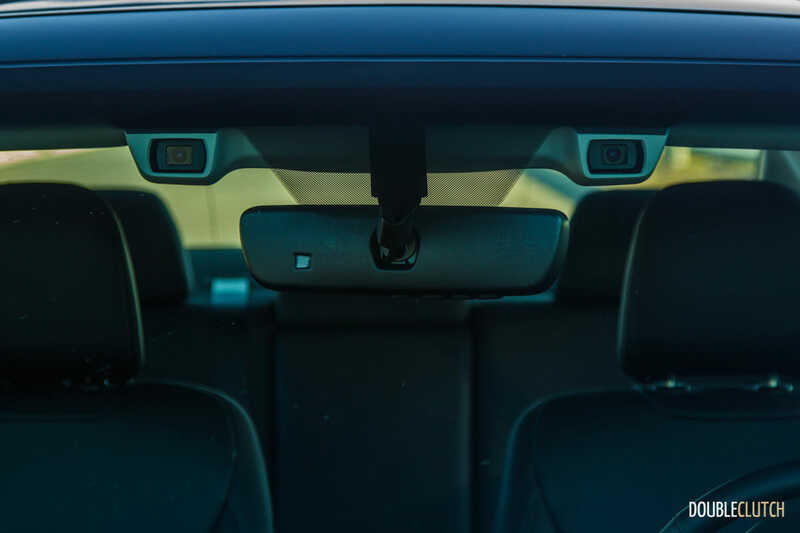 Using a camera system at the top center of the windshield, this active safety suite watches the road ahead and does its level best to minimize the chances of a collision. 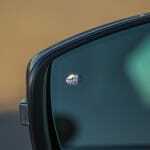 Blind spot monitoring, forward collision warning, and adaptive cruise control are all on board. 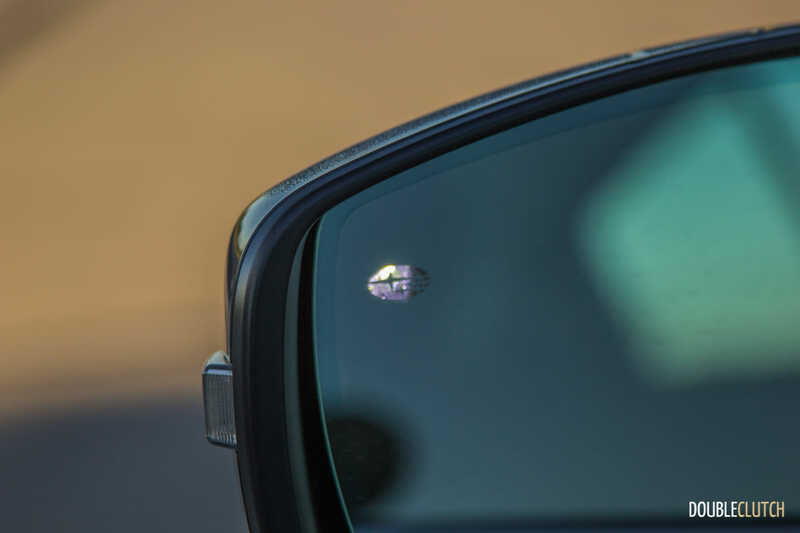 One neat feature that EyeSight has is warning drivers that the vehicle ahead has moved, should there be a delay in your reaction time. 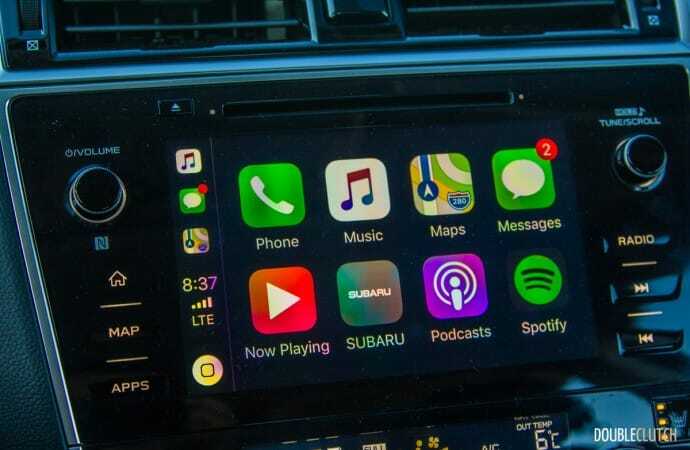 Other gizmos on board the Legacy include full smartphone integration with Apple CarPlay and Android Auto, controlled through the latest Starlink infotainment system, an addition for the 2018 update. 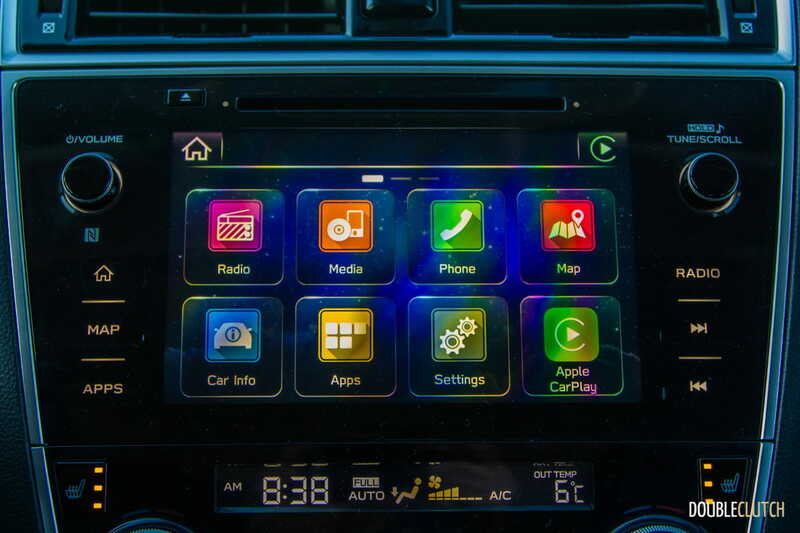 This model has an 8” touchscreen with excellent response and bright, vivid colours. It’s a glossy screen that is prone to fingerprints, but operation is smooth and we didn’t experience any glitches or freezing. 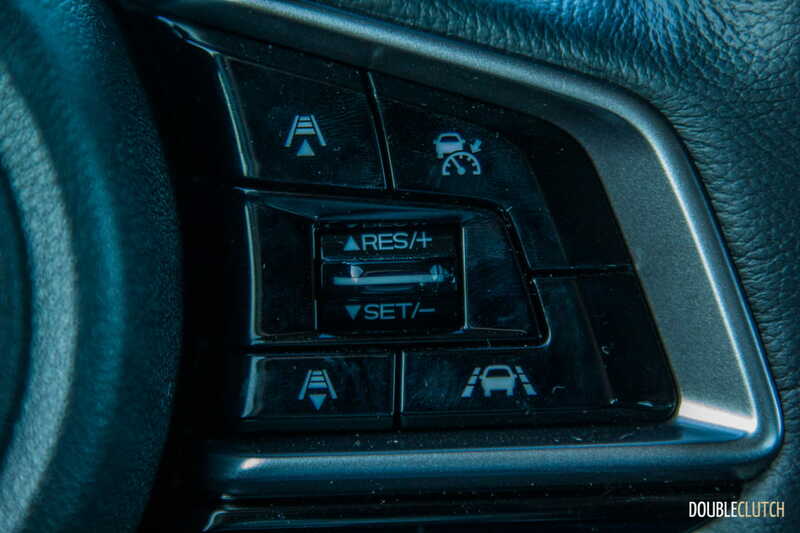 Dual-zone climate control, a power sunroof, heated seats, and a heated steering wheel with paddle shifters are all equipped as well. 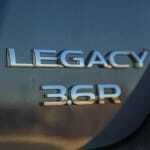 The Legacy starts at $24,995 for the base 2.5i model, and the 2.5i Touring with EyeSight is the sweet spot at $29,795. 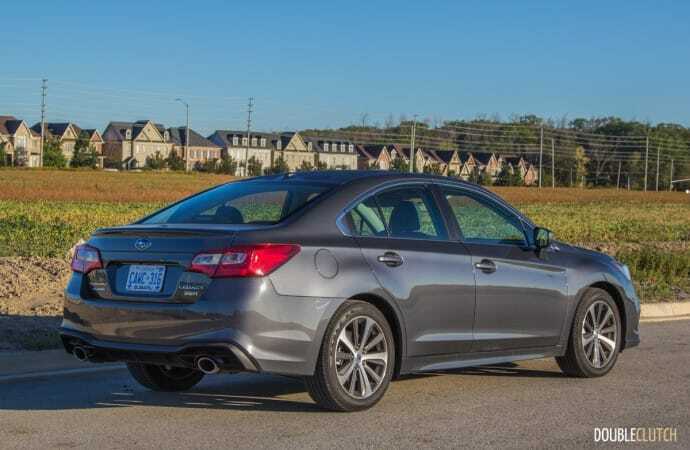 The Legacy almost adds AWD as a “free” bonus, because when looking at each trim level carefully against its competitors, the pricing doesn’t go up significantly. The fully loaded 3.6R Limited with EyeSight tested here sits at $36,795, which is still a few dollars cheaper than the fully loaded examples of the Toyota Camry and the Honda Accord. 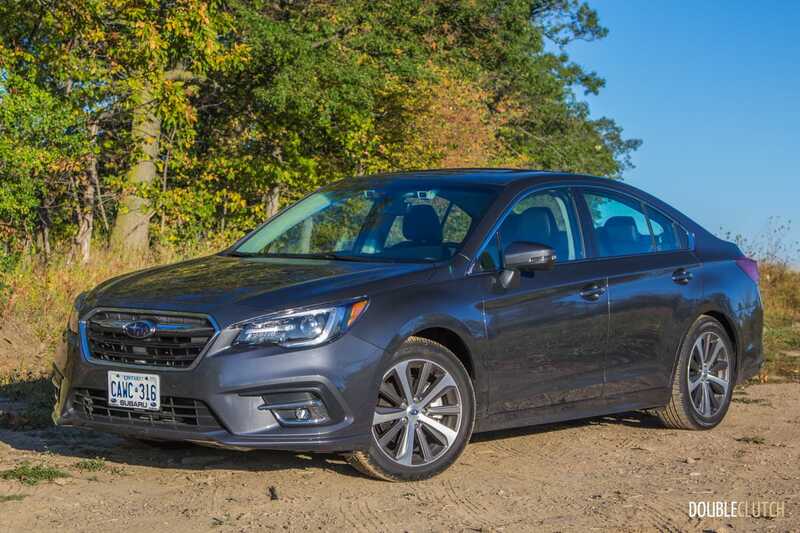 It’s not exactly a volume seller, but the top-tier 2018 Subaru Legacy 3.6R Limited is just a fantastic car to live with regardless of how it’s looked at. It offers a creamy smooth powertrain that makes the unmistakably throaty roar of a flat-six, and the active safety features now expected within this segment. 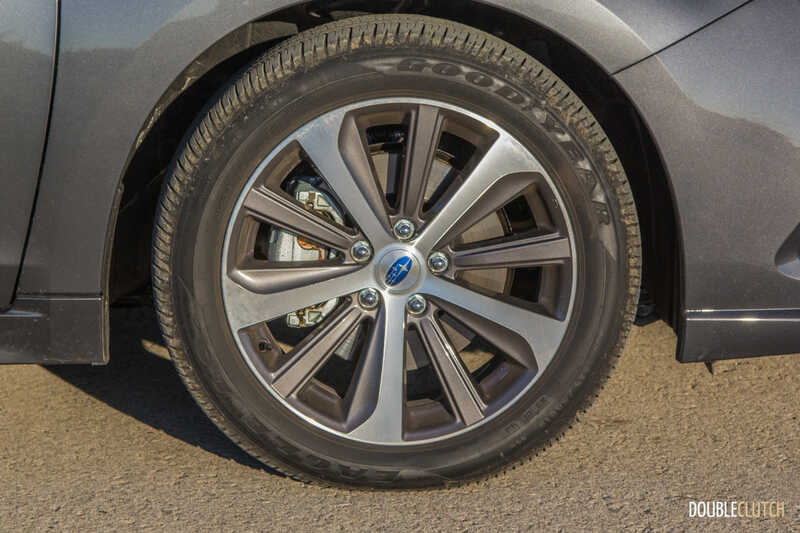 Those who live in climates where inclement weather is common really should experience a Subaru, as the capability of their all-wheel-drive system is truly unmatched. 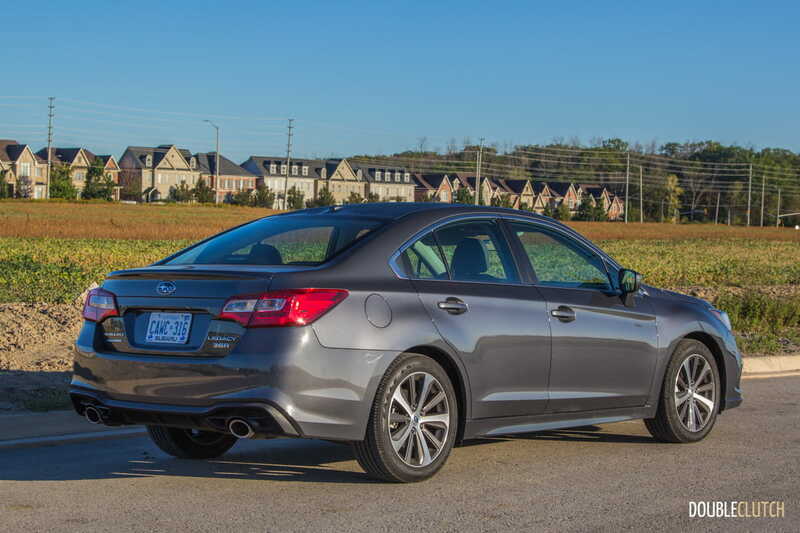 The 3.6R Limited takes all of this and adds that bit of luxury that premium buyers look for, and makes minimal compromises, coming together to make one of the best sedans available right now.